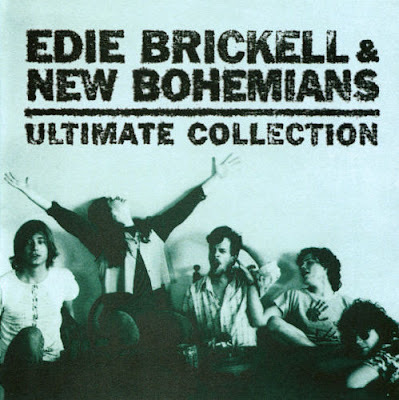 Chronological Snobbery: Edie Brickell - The Ultimate Collection? Can an artist who is widely considered to be a one hit wonder release a compilation album called Ultimate Collection? Texan Edie Brickell, really, is known for two things: Her 1988 song, "What I Am," and her marriage to Paul Simon. This does not an Ultimate Collection make. (Although it should be noted that the disc does include her cover of Bob Dylan's "A Hard Rain's Gonna Fall," which originally appeared on the soundtrack to the 1989 Tom Cruise film, Born on the Fourth of July, in which Brickell had a brief role as a folk singer.). But is she ultimate? No.